Brushing teeth properly helps prevent cavities, and periodontal, or gum disease, which causes at least one-third of adult tooth loss.If teeth are not brushed correctly and frequently, it could lead to the calcification of saliva minerals, forming tartar. Tartar hardens (then referred to as ‘calculus’) if not removed every 24 hours. Poor dental health has been associated with heart disease and shortened life expectancy. Since only two thirds of the outer tooth can be reached by a toothbrush, interdental cleaning (withfloss or an interdental brush) can usefully accompany tooth brushing. Together, these two activities are the primary means of cleaning teeth, one of the main aspects of oral hygiene. Checkups are vital to good oral hygiene and are the best way to detect problems at their earliest stages which saves unnecessary discomfort, time, and money. Depending on your teeth and gum condition you may require regular check ups at 3, 6 or 12 months intervals. During your check up, we will detect any missing, broken or leaking fillings with irregular margins which can produce new decays. Call us or book online today to seal/protect your teeth from decay. 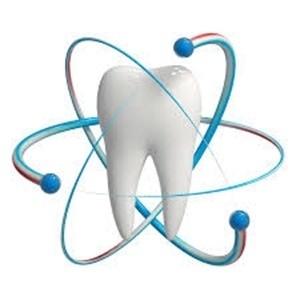 Fluoride is an element, which has been shown to be beneficial to teeth. However, too little or too much fluoride can be detrimental to the teeth. Little or no fluoride will not strengthen the teeth to help them resist cavities. In newly erupted teeth is important frequent application of fluoride. It is done at the dental practice after a good professional clean.